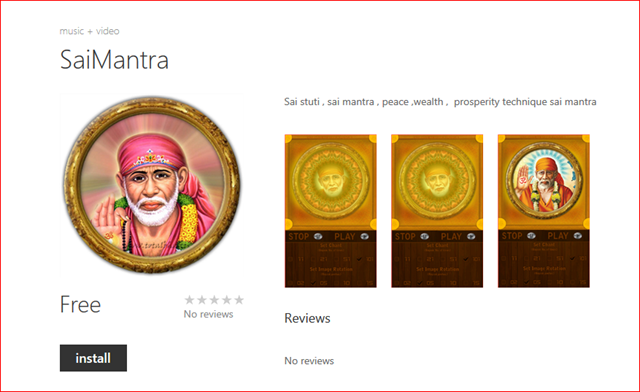 It give me immense pleasure to introduce new windows app “Sai Mantra”. 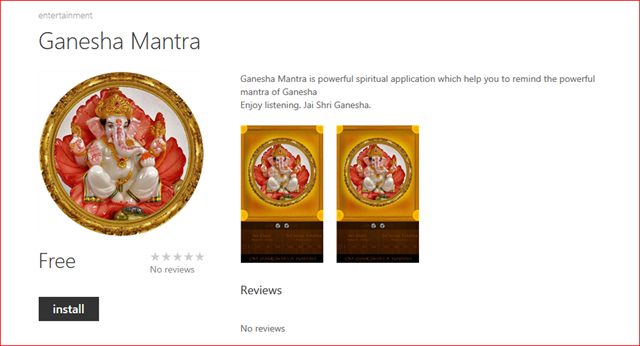 New Windows Phone App – Mata Mantra Hurry up and download now. It give me pleasure to introduce a new application develop by “Indiandotnet”. The application is all about “Durga Mantra” which increase peace, prosperity so enjoy by downloading following windows app with following link. 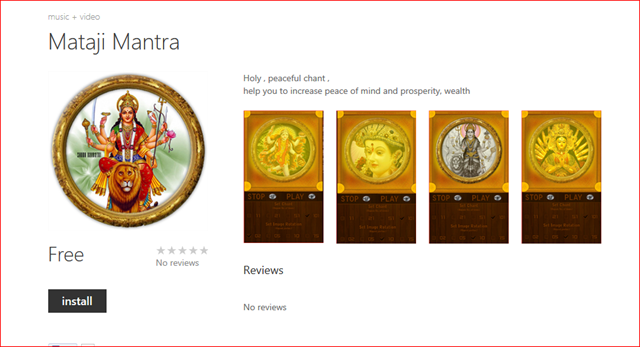 New windows App from Indiandotnet in to increase peace, prosperity and success enjoy downloading it and share. This mantra help you in many ways. I would like to thank many friends “SK”, “SV” who helped me in this idea and thanks all the other team member who helped me and provided feedback. Many more to come in this week. How to determine list of all the databases and size of the database ? Sometimes you require list of all the database and size. How to check whether music already running in windows phone or not when you are trying to play music from your app? Once your app is complete and you have some background music you try to run it on simulator and you think everything working. When you submit the app in app store you get error test case 6.5 failed. Just follow below steps assuming that your page has a media player control with name mplayer. Now your issue is resolved. to test this just play music in your app then run your app. It will give you popup. which we wrote above. I hope you can submit your app now. How to do 7zip programmatically using C# ? Some times it may be possible you require to make zip of a file or directory. so here is simple example. Once you download sdk copy above 2 DLL in your project bin folder. Now let me describe the code to you. sz.CompressionLevel = CompressionLevel.Ultra; is compress level which can be different according to your need.